The Hague (AFP) - Experts said Thursday the toppling of Sudanese strongman Omar al-Bashir raised the possibility of him standing trial before the Hague-based International Criminal Court, where he faces genocide, war crimes and crimes against humanity charges. Here are four key questions about Bashir and the ICC, the world's only independent tribunal set up in 2002 to try those suspected of the world's worst crimes. Why is Bashir wanted by the ICC? Darfur, a Sudanese region the size of France has been torn by violence since 2003 when ethnic minority rebels took up arms against Khartoum's Arab-dominated government under Bashir, accusing it of economic and political marginalisation. In 2005, the UN Security Council referred the situation in Darfur to the ICC for investigation after an international commission found that there was reason to believe that war crimes and crimes against humanity have been committed. The ICC's chief prosecutor at the time, Luis Moreno Ocampo, opened a probe into Bashir and other suspects in Darfur's conflict later that year. 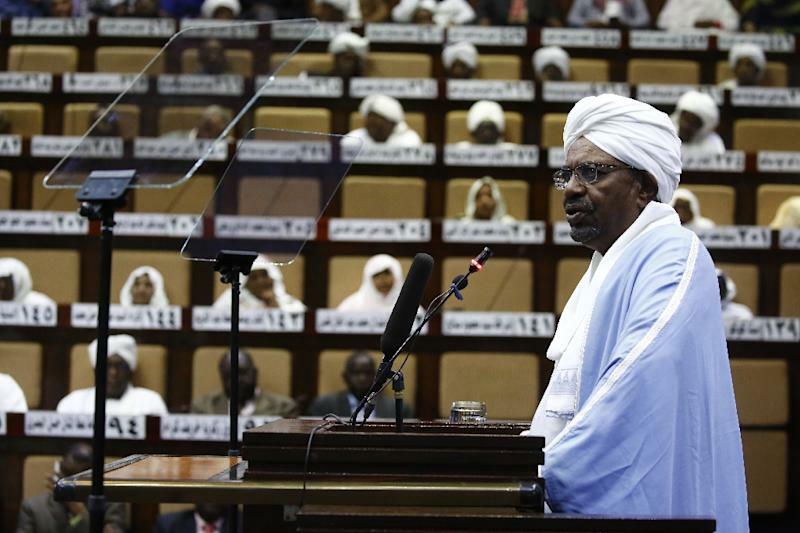 Following investigations, the ICC issued two arrest warrants against Bashir in 2009 and 2010. The latter warrant contained three counts of genocide -- the "most heinous" of crimes. What are the charges against Bashir? Bashir is facing a total of 10 counts for genocide, war crimes and crimes against humanity. He was also the first sitting president of a country to be wanted by the ICC and the first person to be charged with genocide. Pre-trial judges at the ICC said there are "reasonable grounds" to believe that Bashir and other high-ranking members of his government formed a common plan to carry out a counter-insurgency campaign against rebel groups opposing the Sudanese government. The judges concluded that Bashir acted with specific intent to destroy in part the Fur, Masalit and Zaghawa ethnic groups during the campaign since 2002. Omar al-Bashir, as the "de jure and de facto" president of Sudan "played an essential role in coordinating the design and implementation of the common plan," the ICC said. Bashir, 75, has always denied the charges. Why hasn't he been arrested? The International Criminal Court does not have a police force and relies on member states to carry out arrest warrants against suspects. But despite two warrants against Bashir, he continued to travel with impunity to various countries in Africa and the rest of the world. Both countries however have argued that Bashir was a sitting head of state and therefore was entitled to immunity. The ICC however ruled in 2017 that Pretoria flouted its duties when failing to arrest Bashir, while referring Jordan to the UN Security Council for its "non-compliance" to arrest Bashir. The court's judges however admitted that further action by the Council was unlikely, saying the body has failed to take measures against states who shirked their duties. Bashir's toppling could raise the possibility that he is sent to the ICC to face the charges, said Asser Institute international law expert Christophe Paulussen. "Of course, chances are bigger that a new ruler would want to work with the ICC, than in the past, when the very same ruler was wanted by the ICC," he told AFP. "The arguments by some states in which they say they don't have to work with the ICC because of immunity will play no further role," added Paulussen. However, reality is always a lot more unpredictable. "It could be that in exchange for his freedom Bashir may agree to go (in exile) to a 'safe haven' where he won't be bugged," Paulussen said. Frederiek de Vlaming of the University of Amsterdam agreed, saying much depended on Sudan's new rulers. "They may also decide to put him on trial at home," in which case the ICC's role would be limited, De Vlaming said. What's Going on in Sudan?